Researchers have discovered that the Bajau are able to free dive to depths of up to 70 metres due to a genetically enlarged spleen. The Bajau are an indigenous people in parts of Indonesia renowned for their breath-holding ability when diving for food. They have been known to dive up to 70 metres using nothing more than a set of weights and a pair of wooden goggles. Previously, scientists have speculated on whether dive capacity is related to spleen size, though no formal studies have been done on humans on a genetic level. Now, a team of international researchers led by academics from the University of Copenhagen, Cambridge and Berkeley, have confirmed that the Bajau have a genetic adaptation that help to prolong their dive times. A paper on their discovery has been published in the journal Cell. First author Melissa Ilardo undertook the study for her PhD, suspecting that the Bajau had genetically adapted spleens due to their lifestyle. Although there was limited information available about the human spleen in terms of physiology and genetics, she noted that deep-diving seals, like the Weddell seal, had disportionately large spleens. "I thought that if selection acted on the seals to give them larger spleens, it could potentially do the same in humans,” she said. 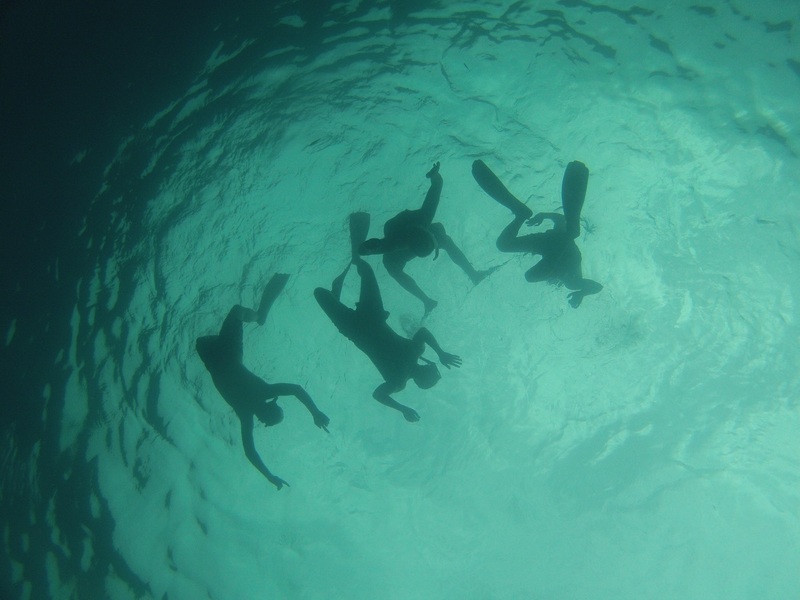 According to the press release issued by St John’s College, Cambridge, “The spleen plays a central role in prolonging free diving time as it forms part of what is known as the human dive response. When the human body is submerged under cold water, even for brief amounts of time, this response is triggered as a method of assisting the body to survive in an oxygen-deprived environment. The heart rate slows down, blood vessels in the extremities shrink to preserve blood for vital organs, and the spleen contracts. To acquire the data for her study, over several months, first author Melissa Ilardo took genetic samples and performed ultrasound scans of the spleens of the Bajau and their land-dwelling neighbours, the Saluan. The results showed that the Bajau have a median spleen size that was 50 percent larger than the Saluan. And this was true even for non-diving Bajau. It was also discovered that the Bajau possessed a gene called PDE10A, which the Salaun did not. This gene is believed to control levels of the thyroid hormone T4. “We believe that in the Bajau they have an adaptation that increases thyroid hormone levels and therefore increases their spleen size. It's been shown in mice that thyroid hormones and spleen size are connected. If you genetically alter mice to have an absence of the thyroid hormone T4, their spleen size is drastically reduced, but this effect is actually reversible with an injection of T4,” said Ilardo. This discovery of this genetic adaptation has implications in the medical field, particularly in the study of acute hypoxia. This is because the human dive response simulates this medical condition, in which body tissue experiences a rapid depletion of oxygen. The findings has opened up the possibility of investigating other sea nomadic populations like the Moken in Thailand and the Haenyeo women of Jeju, South Korea. Doing so can shed more light on the relationship between human physiology and genetic adaptations to extreme lifestyles, and clarify whether such adaptations have developed separately. However, it is imperative that such research be conducted soon, as these traditional lifestyles are under threat. "A lot of them [these small populations] are threatened and this is not just a loss culturally and linguistically, but for genetics, medicine, and sciences in general. There’s still a lot of information to be gathered from these understudied populations,” said another of Ilardo's supervisors, Professor Eske Willerslev who holds dual positions at St John’s College, Cambridge and the University of Copenhagen.